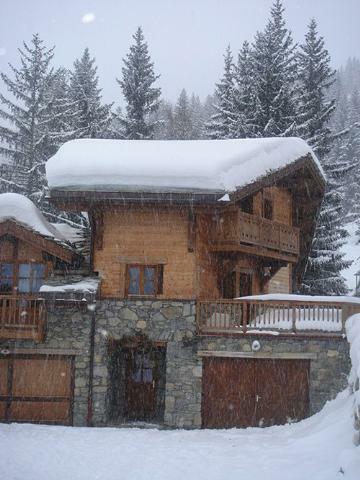 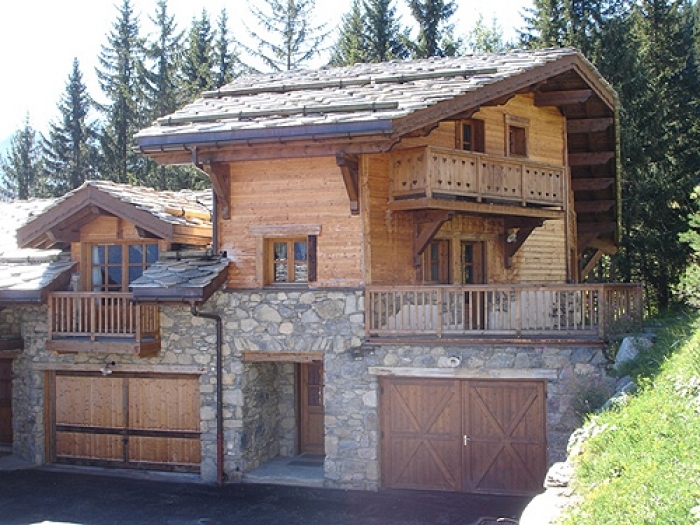 Nestling amongst the pines this charming chalet is located in Courcheval 1550 hameau, just 100 metres from the ski slopes and near to shops and restaurants 1km. 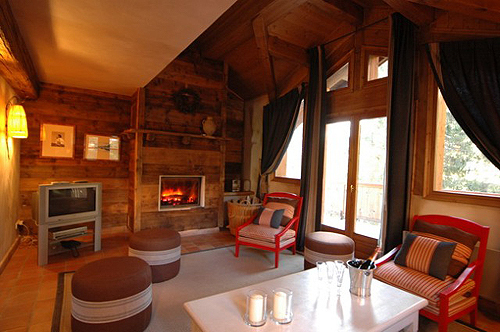 The accommodation comprises a spacious yet cosy living room centred around a fireplace and equipped with satellite television, DVD player, HI-Fi and wi-fi internet access. 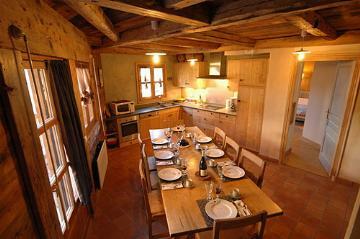 Dining room and open-plan, fully equipped kitchen. 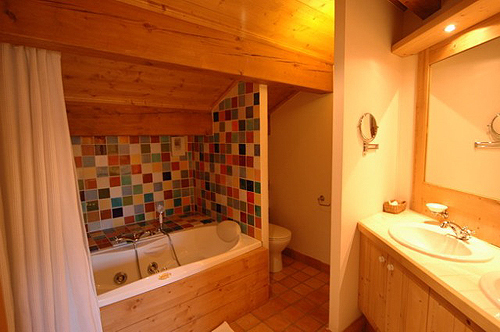 Three double bedrooms (1 x 140cm wide bed in each), all with en suite (two shower rooms and one bathroom with Jacuzzi bath). 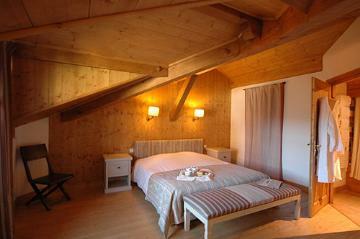 Further double bedroom (1 x 140cm wide bed) with shower room and access to the balcony. Twin bedroom (2 x 90cm wide beds) with en suite shower room and dressing. 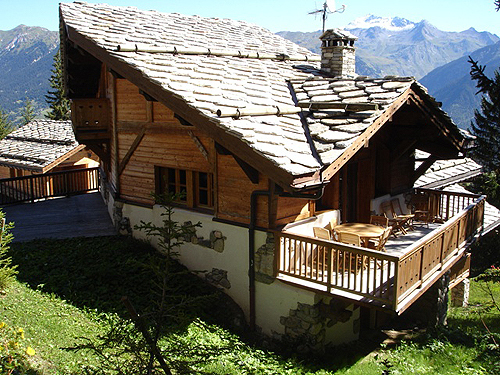 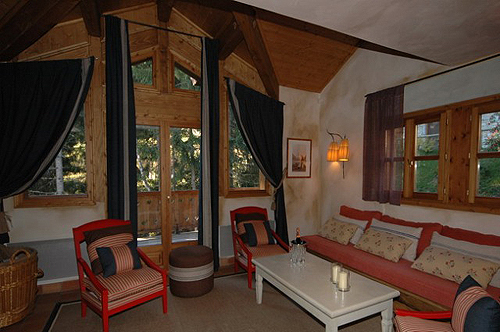 There is a very relaxing feel about this chalet, it has pleasant décor and warmth. Ski boot room and garage.